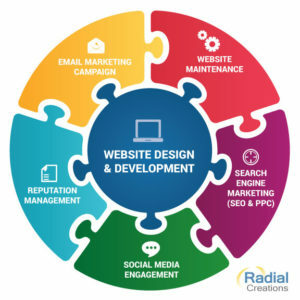 Radial Creations is the digital marketing and web solutions division of Databit. We provide a complete and affordable solution for our client’s web needs, including marketing and branding, search engine optimization, custom and template-based website design, web application programming, mobile development, and shopping cart solutions. We create innovative and dynamic websites by incorporating the latest in web technology, and produce web pages that are appealing, easy to navigate, simple to manage, and quick to load. We realize the importance of a web presence in today’s competitive market, and provide our clients with structured and intuitive websites that are responsive and mobile-friendly. We try to help our clients achieve their goals. We do this by carefully reviewing their requirements and developing the most effective strategy. Through effective communication and feedback, we collaborate with our clients throughout the development process and implement any necessary changes. Working together with our clients is how we ensure that they are happy with their website. Our objective is to develop a strong working relationship so that we can service all of their web needs in the future. It is of utmost importance to us that we satisfy our clients with exceptional work — at the industry’s most competitive prices. 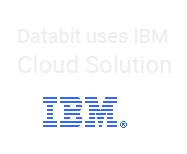 Learn more about what Databit can do for your business. Copyright © 2019 DataBit Inc, all rights reserved. Website Developed by Radial Creations, the web division of DataBit.